Update any room in the house with our new H.P.G. furniture base. 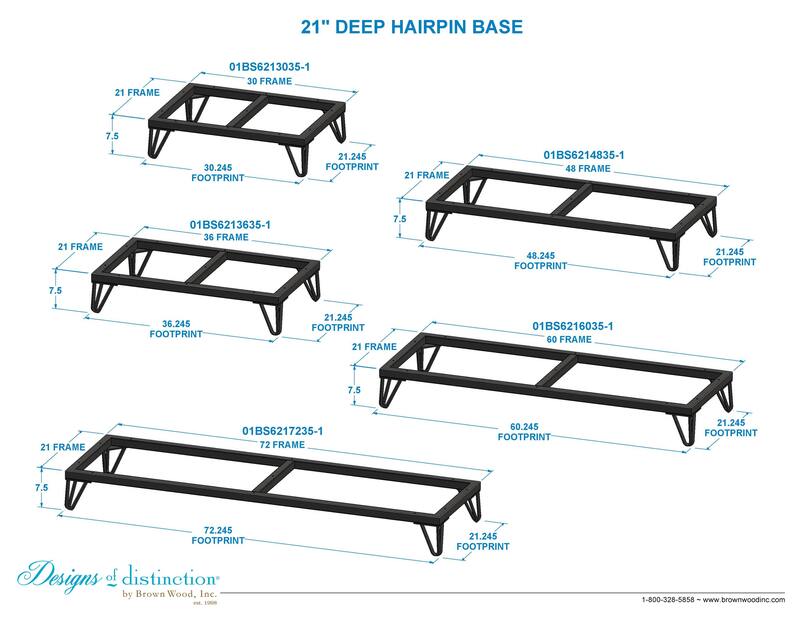 Named after renowned designer Harry P. Glass, who invented the iconic Hair Pin leg, our newest furniture base features an updated Hairpin style foot. Emulating the best of Mid-Century design, these bases feature 6″ Hairpin feet, made with rectangular rods instead of round. The frame includes a center support and mounting holes for easy installation of seating or cabinetry. Shop matching components in our Mid-Century Collection.